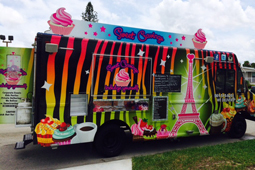 Sweet Cravings NY offers a variety of custom services for your momentous occasion. We have worked diligently to provide on-site services in our super cool food truck or prepare items to deliver on the day of your event. Each custom order is baked fresh on the day of the event and often there is none left to share! We love transforming your sweet cravings vision into a reality. If you are interested in our custom event services, feel free to send us an email here. Desserts you are interested in?